Spinning around the fateful visit of King George VI and Queen Elizabeth (the “Queen Mum”) to Franklin D. Roosevelt’s mother’s house in Hyde Park On Hudson, in upstate New York, on the eve of the Second World War, Hyde Park On Hudson is a contained, delightful piece of historical speculation grounded in historical details and personal recollections that have continually been coming to light over the last seventy years. 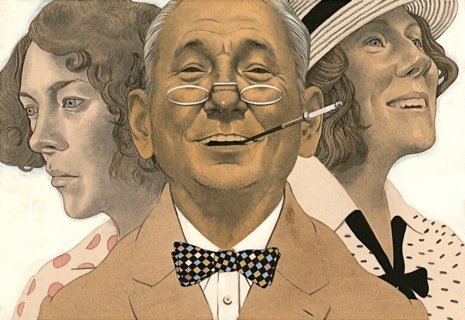 With a character set including Eleanor Roosevelt (Olivia Williams), King Bertie and Queen Liz (Samuel West, neatly avoiding easy comparison with Colin Firth’s Oscar-winning take on the role in The King’s Speech, and Olivia Colman) and, if course, FDR himself (Bill Murray) – all of whom were eccentric and intriguing – and a focus on a single weekend that ultimately may have ended up charting the course of modern history, the possibilities for a good story were many, and they’ve been well seen to fruition by writer Richard Nelson and director Roger Michell. 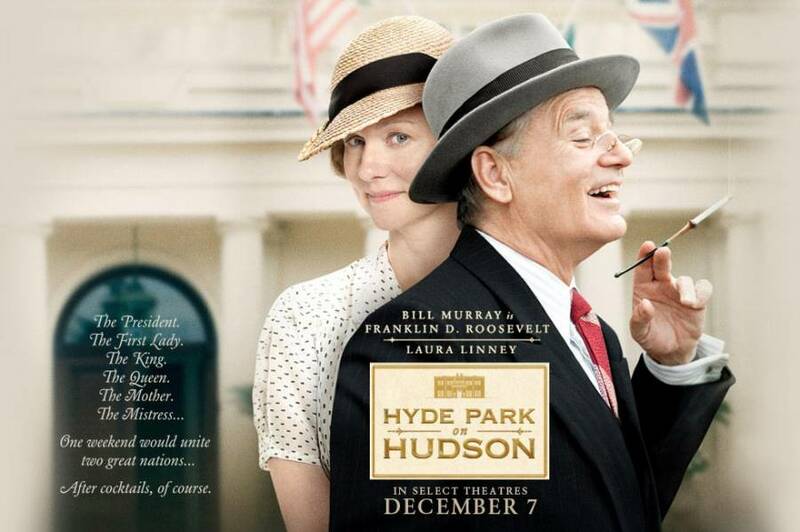 If anything, the telling of the story through the eyes of FDR’s fifth cousin Daisy (Laura Linney), with whom he engages a long and friendly affair, is the least interesting technique, given the momentous circumstances going on in the slightly chaotic household. 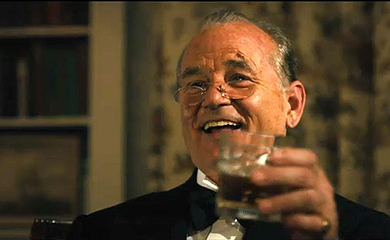 It does add many layers to the character of FDR, however, and Murray is terrific in the part – charming, clever, at ease and, ultimately, cunning as a fox. Elizabeth Marvel is excellent as his aide Missy; the music is lovely and the settings – always sunny spring or summer in a gorgeous part of the United States – are beautiful. A lot lighter, breezier and less demanding than The King’s Speech – let alone Lincoln – Hyde Park on Hudson nevertheless is revealing in its portrait not only of a very unique President, but of two countries who certainly were not always destined to have a “special relationship”. Totally enjoyable – even lovable. Jaques Audiard’s Rust and Bone, based on two short stories from a collection by Canadian author Craig Davidson (and slyly alluding to a third) is haunting and beautiful. Set amongst the workaday population of Antibes – who co-exist as ghosts next to the tourists and wealthy, swimming next to them at the beautiful beaches but living far from the beautiful hotels – Marion Cotillard and Matthias Schoenaerts give perfect performances as Stéphanie and Alain, two people unlikely to come together given most normal circumstances, but do, after Stéphanie is involved in a life-altering workplace accident. Their blooming friendship forms the basis of the film, and the more they learn about each other, the more we learn about them. The film achieves what all dramatic films should strive for: complete audience empathy for the main characters. I cared for these two so deeply, and the many, many moments of quiet triumph gave me rushes of joy. Audiard (whose diverse career not only includes the incredible A Prophet but also being involved in the writing team of Australia) is a major filmmaker, and as such has the ability to make films that are distinctly non-formulaic. His characters are real, even as their careers or circumstances may be exotic: criminals, whale-trainers, bouncers, surveillance experts, bare-knuckle fighters (and that’s just characters in this movie). Their responses are driven by character rather than the demands of plot, and the two characters who collide in this movie are such fully realised human beings that you completely forget the actors behind the masks; at one incredible moment (which was, rather than spectacular, simply the presence of a smile, in context) I joltingly remembered that I was watching one of my favourite actresses: it wasn’t that I was taken out of the story, it was that, as a film critic, I realised that Cottillard had already taken me in, so deeply, that I had simply, for half a movie, forgotten it was her. 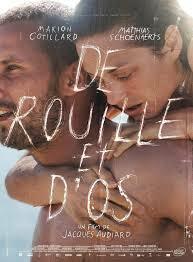 Rust and Bone was a serious Award winner and nominee over the last eighteen months, including nods for the Palm d’Or at Cannes (just down the road from Antibes! ), the BAFTAs, Golden Globes and even the “international” section of the Australian Film Institute Awards, or “AACTAs” (a phrase that still sounds silly to me). Yet somehow, in all the bruhaha, it missed out on any Oscar nominations. Cottillard and Schoenaerts easily deserved nominations – or wins – in alternate universes, but the screenplay, direction and soundtrack (Alexandre Desplat) all could have done with a nod. It’s a rare movie that can take “literary” short stories, combine them, and achieve a film – Short Cuts, while brilliant, kept its’ source stories more separate than this – but Rust and Bone is a beautiful triumph of precise writing, directing and acting. Highly recommended.